You know it’s homecoming season when more and more awkward freshman boys start lining the halls with their made-in-five-minutes posters and their half-baked food puns. With every Homecoming though, it seems like most people just Pinterest their posters, or I’m left asking “Isn’t that the same poster they used last year?” To stop this startling trend, I’ve compiled some tips for anyone to use to make their homecoming proposal the best it can be. Nobody wants an unoriginal poster and Dollar Store candy. Put a little thought into your proposal. Don’t just buy a cake, make a cake. Spend the extra money and buy flowers from the farmers market, not from Safeway. Put more than five minutes into your poster; you want whomever you’re asking to know you’re asking them because you want to and not that you just asked them so that you’re not the only person in your friend group who didn’t ask anybody. Homecoming proposals are awkward in nature. You’re usually asking someone who you are not in a relationship with, so of course it’s going to be awkward to ask a friend or even someone you don’t know that well to a formal dance. So your best course of action is to just embrace the awkwardness. Embracing the awkwardness doesn’t mean being as awkward as possible, it just means being okay with being awkward and subsequently eliminating the awkwardness. 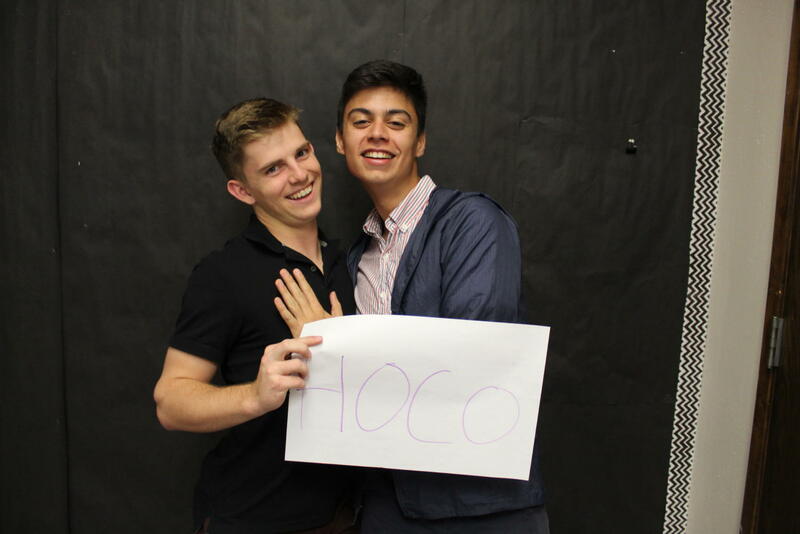 We’ve all seen someone stumble and stutter in a Homecoming proposal, and I understand why. Putting yourself on the line and asking somebody to Homecoming in front of everyone you know is nerve-racking, but you have to understand that they’re not gonna say no. Even if they do say no, that’s not embarrassing for you– that’s embarrassing for them. They just showed the school how much of a jerk they are. You probably also just dodged a bullet, because if they’re the type of person to say no to a homecoming proposal you’re better off not going with them. So there’s nothing to be nervous about, yes, or no, you’ll still come out on top. Tip #4 goes hand in hand with Tip #1. To be thoughtful you have to be original. Use an inside joke or something personal you have with whomever you’re asking. Go the extra mile, don’t just use a candy pun like everyone else, because even if asking somebody to homecoming isn’t special to you it’s probably going to be special to them. So doing something funny or sweet that you came up with yourself is definitely gonna be worth it.